It's a big week for Google's wearable plans. 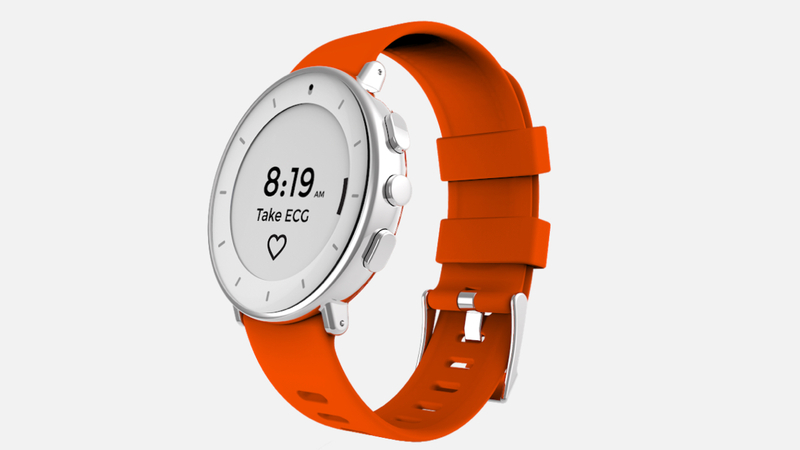 Following news that it's paying $40 million for Fossil technology, parent company Alphabet announced it's obtained FDA clearance for its electrocardiogram (ECG) wearable, the Study Watch. The Study Watch, if you recall, is a prescription-only smartwatch used for clinical research purposes. The watch captures ECG, heart rate, electrodermal activity, and inertial movements, which is allowing Verily to research serious conditions such as Parkinson's and MS.
"One area of focus for Study Watch has been cardiovascular health, as heart disease remains the number one killer of men and women in the United States," said the Verily team in a blog post, later adding, "The ability to take an on-demand, single-lead ECG, can support both population-based research and an individual’s clinical care". While there are no signs that the Study Watch will become a consumer device any time soon, clearing th FDA is notable as it would theoretically allow Google to share this technology with its Wear OS partners. Or - if the Fossil news is in any way a hint that Google is planning its own hardware - could see the company launch a smartwatch to finally compete with the Apple Watch. We don't know exactly what Google has got from Fossil, but it could be an integral piece to the long-anticipated Pixel Watch. If it is, the Study Watch could prove to be test bed for the health technology that could eventually be transferred to Google's own consumer smartwatch. Or at least, we can dream, right? Damn, that study watch is stunning. If Google made the Pixel watch look like that I would buy ten. Damn that is good looking.